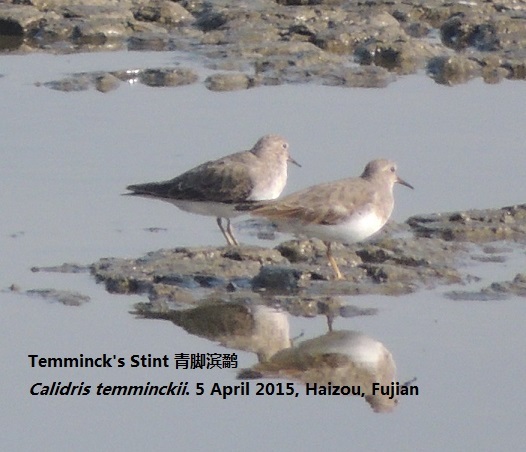 On the unprotected mudflats adjacent to these villages 525 Saunders’s Gulls have been counted on migration in early March, representing up to 20% of the total world population. 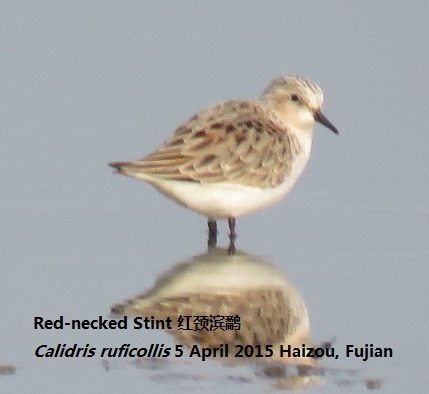 In spring the fishponds attact good numbers of migrants, especially stints. Saunders’s Gull, Mew Gull in winter. 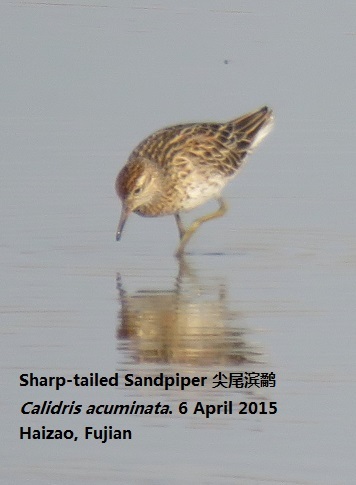 On spring migration Temminck's, Red-necked and Long-toed Stints, Sharp-tailed Sandpiper, Swinhoe's Snipe. Black-shouldered Kite has also been recorded here in summer. Chinese Starling is common here. 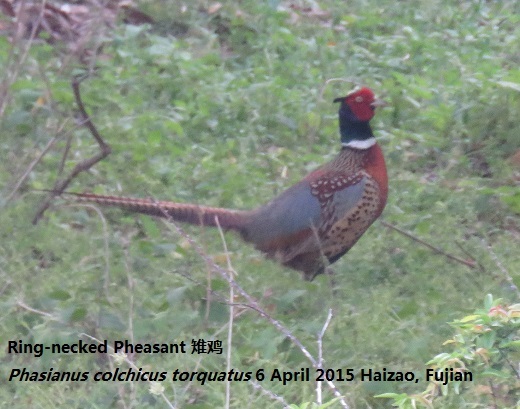 Ring-necked Pheasant, Bamboo Partridge and Eurasian Jay are found in the woods behind the village. Cinnamon Bittern, Watercock, Eurasian Wigeon, Common Teal, Kentish Plover, Grey Plover, Eurasian Curlew, Dunlin, Black-tailed Gull, Heuglin’s Gull, Caspian Tern, White Shouldered Starling. The mudflats are best visited as the tide comes in. There is little uncovered ground at high tide and human disturbance does not allow the birds much room to feed. The paddy fields and small fields behind the sea wall can also be productive and yield Cinammon Bittern/Watercock in summer and pipits, thrushes and chats in winter. 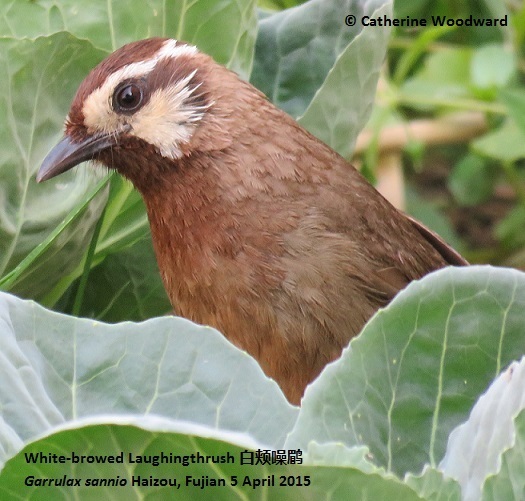 More unusual species sometimes turn up, such as a Brown Shrike in early March and a Black-shouldered Kite in June. The area also supports species close to the northern limit of their ranges such as Black-collared Starling. 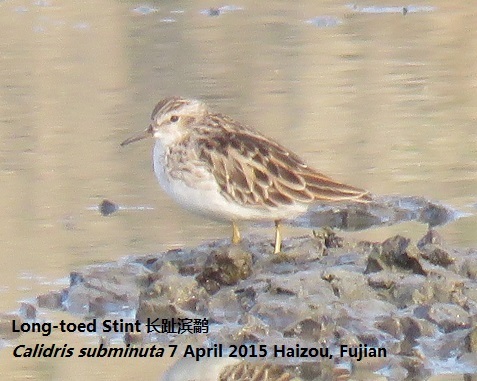 In 2005-6 both Nordmann’s Greenshank and Black-faced Spoonbill were found on the mudflats in Xinghua Bay 兴化湾 near Putian 莆田 just to the south of Haizao. It is clear that this area is potentially a great birding site. The site is well protected from the South China Sea and a gentle gradient gives ideal conditions for feeding birds. The channel between Haizao and the Jiang Yin Niao 江阴鸟 peninsula has been partially developed for shellfish production. The woods behind the village are less disturbed now that they long'an orchards have been abandoned. To get to the village take a long distance bus south from Fuzhou 福州towards Putian 莆田, alighting at Jiang Kou. From there it is a short ride back north on the old main road up the hill and around to the village. Get off beyond the brow of the hill and turn right to walk between houses and then paddyfields to get to the coast. There is no accommodation, and the nearest hotels are in Putian, 30km to the south. Disturbance: the site is entirely unprotected and thus subject to disturbance. By 2010 two major refineries had been built a few kilometres across the bay.